On Being Normal… | Deafened But Not Silent. This entry was posted in cochlear implant, Coping with Hearing Loss, deafness, hearing aids, Hearing Loss and tagged cochlea, cochlear implants, communication, coping with hearing loss, deafened, directional microphone, FM systems, hard of hearing, hearing aids, hearing impaired, hearing loss by Peter Stelmacovich. Bookmark the permalink. Your thoughts always impress me Peter. Excellent post Peter. Being normal, whatever that means, is over-rated in my view. Hey…….you are my kind of ‘normal’! Again, thanks for the blog. Your so called lack of normalcy brings great insight to me as I interact with kids trying to figure it all out! Always appreciate your perspective. Thanks Ron! If were to sum this up in two sentences it would be as follows. My hearing is not normal, and never will be despite all the impressive and cool technology. 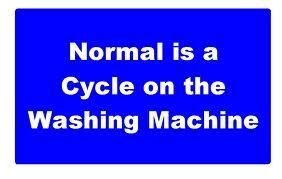 If that means I am not normal, maybe, but neither are 90% of the rest of the human beings on this planet. I maybe not be normal but different. That is part of the specialness when one has hearing loss. I learn to hear vidsually and sensing others feelings. Hi Martin. I couldn’t agree more. Thanks for the comments! Hi Peter, had my hearing aids for three weeks now, not felt this “normal” for years. Feel a bit like James Bond when I start listening in on other conversations behind me! I LOVE your definition of “normal”. Do you mind if use it from time to time? I’ve enjoyed reading your blog. I just found out on Thursday that my 6 week old daughter Fiona has bilateral severe to profound hearing loss (neurosensery). We are trying to so as much research to learn more and find out the best options for her. It seems like it a 1 year old gets a CI they don’t want her to learn sign language. What are your thoughts on this? I try to look at things differently. I do not take a political view of signing vs learning speech. Instead, I look at it in terms of what the child needs. Im my experience, the vast majority of children with CI’s are learning to communicate extremely well with spoken language. As such, most children with CI’s simply do not need sign language to communicate. But if additional support is needed then one can certainly incorporate some sign support to facilitate the language development. On the other hand, when I hear of children with profound hearing losses trying to learn spoken language with just hearing aids, then I would definitely use sign language as there is simply not enough auditory information available. Children with mild to moderately severe hearing losses fitted with proper amplification do quite well learning spoken language. We know there is a tough road ahead but are trying to stay optimistic.